It is a little over three weeks until the Vancouver Fashion Week Gala and my VFW wardrobe search has sputtered and stalled. Seven complete outfits from head to toe are required and all I have found so far is three pairs of heels. It goes without saying that each pair is amazing and able to hold their own in conversations but this fashionista must step up her game and get shopping! One way to keep your wardrobe fresh and conversation worthy, is to shop directly from the designers that are showing at Vancouver Fashion Week. Alex S. Yu and Sara Armstrong will have pop-up shops open to the public in March at @thisopenspace located at 434 Columbia in Chinatown. Sara Armstrong has a one day pop-up on March 19 showcasing many pieces from the S/S 2015 runway collection plus the leather and alpaca accessories line from F/W 2015. Armstrong will be available for private appointments from 9 a.m. to noon, assisting shoppers from noon to 6 p.m. and hosting the F/W 2015 collections reception from 7 to 11 p.m. If you want to meet Armstrong and converse directly from this Vancouver designer about her process, eco-friendly materials, fabric and the future of her business this is definitely the day to do it. Alex S. Yu, S/S 2015 NICHE Magazine Emerging Designer, has a three day pop-up from March 20 to 22 from noon to 7 p.m. every day. There will be selected lines of limited edition products for purchase and all looks from the F/W 2015 collection available for pre-order. Yong Kyun Shin is a 34-year-old Seoul based designer who studied at Central Saint Martin’s in London, UK, and a finalist in the Designer for Tomorrow Award 2014. DFT is a fashion talent award by Peek & Cloppenburg Duesseldorf and its online shop Fashion ID providing a visible platform for creativity, giving the up-and-coming talents the opportunity to present their designs during the award show at Mercedes-Benz Fashion Week in Berlin, Germany. His YKS brand is known for its craftsmanship and creating the value of a high-end brand. YKS differentiates itself from other brands by concentrating on design, new materials, complex and bold detail development. Currently in the studio is an new avant-garde line geared towards professional women in their late 20s to 40s that expresses character and strength. The photographs released to accompany the collection show unique silhouettes with layers of textures and shapes using a monochromatic palette. So intrigued to see these pieces up close and YKS is definitely one of the most anticipated runways of the season. This Vancouver based designer obtained her fashion design education in Montreal and her collections reflect experiences gathered from living in China, England and France. She has a unique style that combines North American practicality and Euro style, with a touch of Chinoiserie. Chen designs for men and women using bold colours and patterns. In previous collections her silhouettes vary with structured pieces with clean lines. The use of textures and fabrics give what could be staid looks a strong modern appeal. In the fashion industry for 10 years, Chen has developed a unique strategy for her business. Her design studio is divided into three sections. Women looking for affordable pieces for short-term can ‘Rent the Runway’, ‘All-In-One Design’ offers pieces that can be worn multiple ways and a ‘Wedding and Special Occasions’ selection for ladies looking for designer pieces without the hefty price tag. It will be interesting to see if her runway focuses on each section separately or throw caution to the wind and combine luxury rentals, all-in-one casual pieces and extravagant wedding dresses! Bang & Olufsen, the Danish provider of exclusive, high quality audio and video products, announced the grand opening of a new sensory showroom in Vancouver. The new showroom will feature the complete Bang & Olufsen product portfolio of high-end, custom made audio and video equipment as well as the B&O PLAY collection of portable music systems, headphones and premium wireless speakers aimed at the digital generation. The showroom is significant as it is the first showroom in Canada to introduce the newly redesigned retail concept store and is the second Bang & Olufsen retail showroom to occupy Vancouver (alongside Bang & Olufsen South Granville). 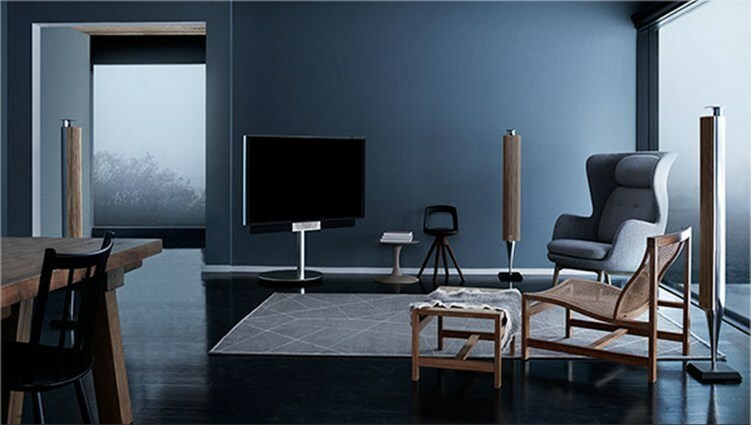 Originating from Denmark, Bang & Olufsen was founded in 1925 and offers state-of-the-art audio and video products for music lovers, tech gurus and style seekers alike. Their range of products includes televisions with razor-sharp picture quality, music systems with magical user elements and high-performance loudspeakers with a second-to-none sound experience. Additionally, B&O PLAY by Bang & Olufsen will feature its new collection of portable sound systems and TV’s aimed at the digital generation. “We are excited to incorporate the award-winning Bang & Olufsen portfolio to Hi-Fi Centre’s new store location. The new retail concept by Bang & Olufsen, is a perfect fit for our location, and underscores Bang & Olufsen’s commitment to providing extraordinary consumer experiences,” states Igor Kivritsky, owner of Hi-Fi Centre. A Grand Opening customer event will be held on Friday, February 27 from 5 to 9 p.m. Guests will experience the new and award-winning, innovative television, BeoVision Avant – “the one that moves.” BeoVision Avant has Ultra High Definition (4K) video performance and acoustic authenticity built in.